Let's take a closer look at the "In collection" status and its meaning. When you add a movie into Movienizer, its "In collection" status is enabled automatically. Basically, it means that the movie is available in your collection. 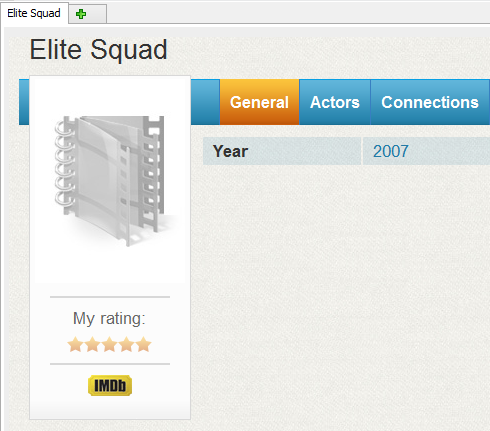 After all, this is what Movienizer is for: creating a catalog for all movies from your home collection. As you have already guessed, the "In collection" box can be cleared. What happens to the movie then? We can see only a title and a year. At this point, you may start wondering: what are all those movies and how did they get into my database? And how do I delete them? Now, all movies that you had in your collection previously remain there. The rest of entries from the filmography go into your database and will be displayed in the list, if you switch "Quick Filter" - "Information output" to "Show all data". 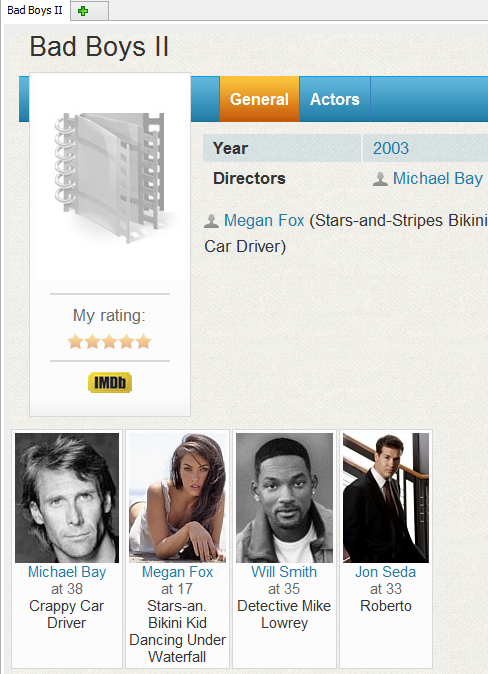 So the answer is simple: Movienizer added these movies when you downloaded information about persons. If you ask this question, most probably you do not quite understand how a database works. The answer is: you do not need to delete any of these movies. 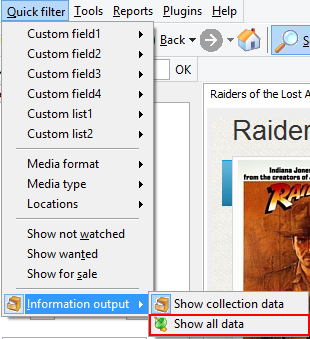 Just switch "Quick Filter" - "Information output" back to "Show collection data". 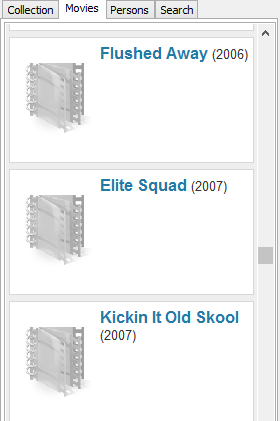 Why shouldn't these movies be deleted? First of all, when you erase such movie from your database, it will disappear from all places, which includes filmographies. Thus, your filmographies will become incomplete. Second, deleting such entry will not make your database smaller, so there is no point in doing that. Yes, when you download information about a number of persons, and some persons have the same movie in their filmographies, Movienizer creates only one movie entry and links it to all filmographies. As normally the user downloads information about his or her favorite persons, these persons are more important to the user than others. And these persons will be shown on such "blank" movie pages (persons from the movie that you haven't downloaded information about will not appear, as Movienizer has no way of knowing they were there). So, if you click on a movie from a filmography and see photos of several favorite actors, this movie may be worth of seeing. If you have downloaded information about a movie that looked promising and marked it as "Wanted", it naturally is not in your collection yet. You can see such movies using "Quick filter" - "Show wanted". This list can be further exported to Reports. There also may be movies that you have already seen, but that are not in your collection. You can manage them in Movienizer, too. Generally it is not recommended to delete any movies from a database. Just clear the "In collection" box, and the movie will disappear from your lists. If you are concerned about database size, just delete all pictures from the movie entry before removing it from your collection.